Another boarding facility, American Dog School, is in our local headlines. As a professional pet sitting company it pains us to be able to find reasons in local headlines of why choosing pet sitting for their pets needs to be on more people’s radar. It should be noted that pet owners are not at fault. Many are unaware professional pet sitting – personalized care in the safety of their own homes – is even an option. Although people have heard of baby sitters, the career of pet sitting, licensed, bonded, insured and highly qualified professionals providing in-home, personalized care, is an unknown profession to many people. To many, facilities such as the American Dog School, seem like a good solution. They don’t know the pros and cons of choosing pet sitting over boarding. Animal Protection and Control has opened an investigation of the American Dog School after a Fort Collins family reported their 13-week purebred German Shepherd “Baron” suffered severe, blunt force trauma while being boarded. CSU Vet Hospital performed surgery to remove Baron’s damaged eye. 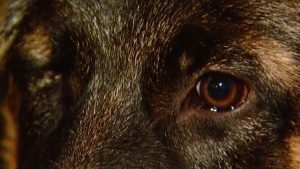 A vet with the hospital commented that the trauma was severe and similar to what a dog would sustain if struck head-on by a car. Vets speculated that the injuries were a minimum of 24-hours old. “He had five separate skull fractures. Three skull fractures to the right side where he lost the eye,” said Tiffany Brown, Baron’s owner. The owner of American Dog School, Tami Carrasco reportedly said she didn’t notice anything was wrong with Baron until she returned him to the owners on Sunday night. The Coloradoan reports that Carrasco maintains her business is not at fault. Everyone at Poochy Doos, LLC hopes Baron makes a complete and speedy recovery! Read the CBS Channel 4’s article to learn more about how this disturbing story turned out.